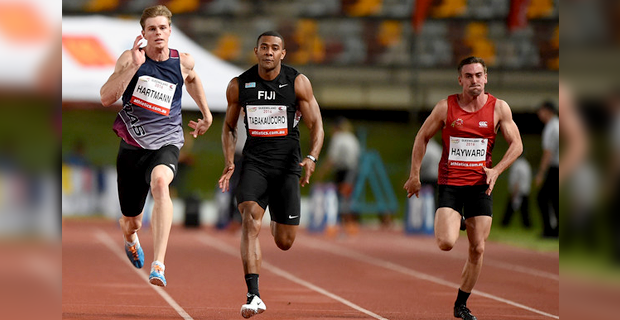 Fiji’s Sprint King and Coca Cola Games Senior Boys 100 metres and 200 metres record holder, Banuve Tabakaucoro says he is helping maritime athletes that will be taking part in the Coca Cola Games. While speaking on our fijivillage.com new sports show, Play, Tabakaucoro says these athletes create upsets during the Games as they bring in good competition. He says with just a few days before the games, this time is very important for athletes if they are experienced or not as the atmosphere becomes very tense. He says he is also helping Saint Joseph’s Secondary School and International Secondary School. The 2019 Coca Cola Games will be held from next Tuesday to Thursday at the ANZ Stadium.